When you’re looking for the best same day courier service, the choice can seem overwhelming. With so many options on the market, how do you decide which provider is the right fit for you and your business? 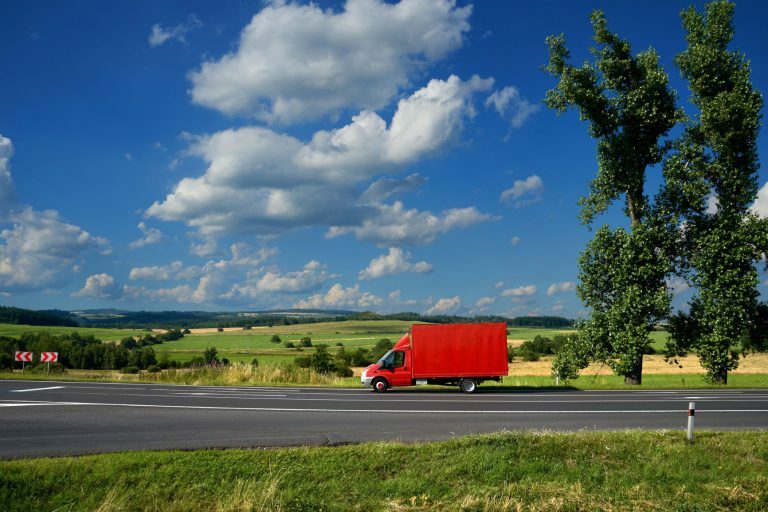 This post will set out the six most important criteria you need to consider when choosing a same-day courier service. By keeping these factors in mind, you’ll be able to choose a courier that makes the entire delivery process streamlined and stress-free. Different courier services specialise in different industries and offer different specialities. If you need to send a hazardous material or medical equipment, make sure the courier you choose has the resources and equipment necessary to do this safely and in accordance with regulations. Fresh produce is a prime example of a product that needs a specialised courier. The delivery company needs to be able to transport in clean, temperature-controlled environments. Not all couriers will be able to offer this so make sure you do your homework. Here at Same Day Dispatch Services Ltd, we have the facilities and resources to deliver fragile, high-value, hazardous, temperature-controlled and sensitive items. You can be sure that whatever you’re sending, it’s in safe hands. We’ve been in the time-critical delivery business for longer than we’d like to admit. But this has given us a wealth of experience in industries including pharmaceuticals, aviation, automotive, media, marine, and many more which require customised delivery solutions. Obviously, a vital part of a same-day courier service is speed. Make sure the courier company you choose can guarantee your delivery deadlines. They should also have a proven track record of delivering parcels on time. This is important in industries that need to avoid downtime and optimise the supply chain such as automotive and aviation sectors. At Same Day Dispatch Services, if you’re parcel needs to be delivered the same day, it will be delivered that day. That’s our promise to you. We continually monitor the progress of your delivery so you can carry on with your day in the knowledge that your consignment will be delivered on time and in perfect condition. We are proud to have a 99.7% success rate of on-time deliveries. Make sure you get a final price when searching for a same day courier service. Many providers have hidden costs that make the service more expensive than it first seems. But remember, you get the service you pay for and if a price seems too good to be true, they may be cutting corners somewhere. Here at Same Day Dispatch Services, we are clear and transparent with our pricing. There are no hidden fees and you get what you pay for – a stellar same day courier service. It’s important to note here that same day courier services help you control your entire delivery process. Even if the upfront cost may be a little higher than your current delivery costs, you will save money in the long-run by reducing errors and increasing customer satisfaction. When searching for the best same-day courier service it’s about cost not price. Make sure what you’re paying for includes the important provisions of dedicated direct A-B deliveries, no co-loading and consistent high quality customer service. Whilst your goods are in transit, you should be able to call and check where they are at any time and your courier service provider should deliver on time, every time. This is incredibly important when working with time-critical consignments. In a world that’s becoming more and more disconnected, it seems that customer service is taking a back seat. But when it comes to delivering important consignments, your delivery provider should always be at the other end of the phone to answer your questions and be there in case of emergencies. Your courier partners are essentially the face of your company and good customer service skills go a long way towards customer retention. At Same Day Dispatch Services, we understand the importance of a human conversation. There is nothing worse than ringing a customer service number only to get stuck talking to an automated line that gets you nowhere. Our customer service support is always at the other end of the phone when you need them. We build relationships with each of our clients based on a foundation of trust. We want you to know that there are real people handling your consignment as if it were their own. Courier providers should always be flexible and willing to adapt. Circumstances change and emergency situations arise – it’s part of everyday life. So it’s vital your courier company is able to adapt and deliver a first-class service no matter what issues arise. The best same day couriers can effortlessly manage sudden changes, ensuring your deliveries are always on track. When you call us with an emergency, we can get a driver to your collection point within minutes or we can arrange for several vehicles to be dispatched for overspill work whenever you need us. Whether you require a single important legal document or a fleet of aviation parts delivered, we have the flexibility and resources to get the job done. If you’re interested in our same day courier service and want to know more, please get in touch with Same Day Dispatch Services today to discuss your needs. Tel: 0800 999 1010. We’d love to chat. This entry was posted on Sunday, October 15th, 2017 at 7:46 pm	and is filed under Courier Services, International Couriers, Sameday Couriers. You can follow any responses to this entry through the RSS 2.0 feed. You can leave a response, or trackback from your own site.